Looking for a Used SX4 in your area? 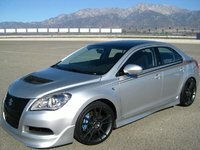 CarGurus has 247 nationwide SX4 listings starting at $2,499. Standard features such as all-wheel drive and a navigation system make the 2009 Suzuki SX4 a good value for its economy price, and its roomy cabin offers passenger comfort as well as top-notch visibility. 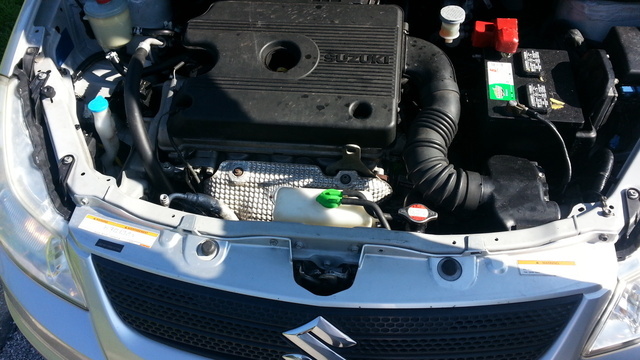 Though typical for this class, an underpowered engine can be noisy in the '09 Suzuki SX4, and its fuel economy ranks well below what competitors offer. With a sporty feel behind the wheel and available all-wheel-drive traction, the 2009 Suzuki SX4 offers a solid and affordable ride to budget-minded drivers without compromising on the fun factor. Its tall cabin also makes it family-friendly, while the expandable cargo space of its hatchback will appeal to weekend travelers. So-so fuel economy might be the only reason drivers would seek alternatives in the SX4's more fuel-efficient rivals. Drivers spoke and Suzuki listened. Its compact front-wheel-drive sedan and hatchback gets new front armrests this year, but the biggest change for the 2009 SX4 comes in the portable integrated navigation system, standard in all trim levels. That's right, the affordable economy compact offers standard navigation in all of its cars. That makes the SX4 the first entry-level car from any automaker to offer an integrated GPS system. The Garmin-based system, dubbed TRIP (for travel, real-time traffic, information, and play), features a flip-up 4.3-inch screen that displays traffic information along with destination suggestions geared toward the SX4's youthful and playful consumer (movie listings, music venues, surf spots). An optional upgraded system adds real-time weather, ATM locations, gas prices, Bluetooth, and an SD card slot to play back MP3s. A future goal for Suzuki is a website where owners can download information provided by other drivers onto their system. 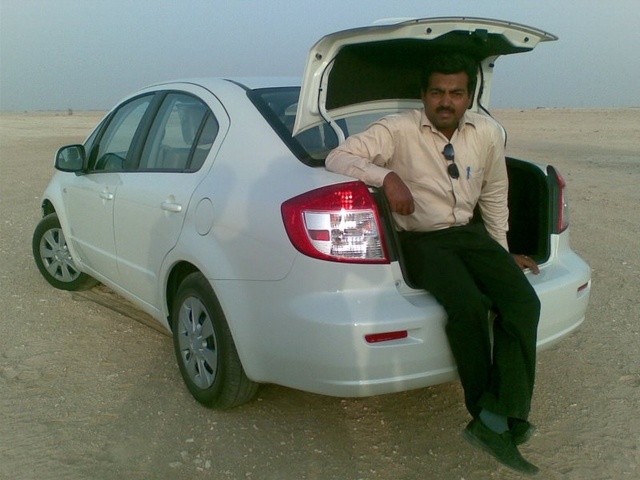 Otherwise, the budget SX4 remains the same structurally and mechanically. One of the few compacts to offer all-wheel drive, Suzuki claims it is also the most affordable, coming in at less than the Subaru Impreza. Its hatchback version offers comparable roominess and handling, but also costs less than the popular Honda Fit, Toyota Versa, and the Scion xB. Front-wheel-drive sedans come in Base, LE, and Sport trims. Base offers the basics and rides on 15-inch wheels. The Sport features a sport suspension, larger 17-inch alloy wheels, aluminum pedals, and a body kit with side skirts and a larger front air dam. The Crossover hatchbacks come with either front- or all-wheel drive, along with all-weather tires, 16-inch wheels, and folding rear seats for extra cargo room. The Base trim can be supplemented with a Technology and a Touring Package (the Touring comes only in all-wheel drive). These packages are also available for the sedan, along with a Popular Package that adds convenience features. Often overlooked by economy consumers who gravitate toward Toyota and Honda, the 2009 SX4 offers greater power, good handling, and a roomy and comfortable cabin for both drivers and passengers. Though lagging behind in fuel economy, it still gears itself toward first-time drivers or young families by offering a long list of standard and optional features, along with the extra security of AWD, at an affordable price. Under the hood of the 2009 SX4 sits a 16-valve, 2.0-liter DOHC inline four, which puts out an admirable 143 hp and 156 lb-ft of torque at a low 3,500 RPM. According to one critic, this puts the little sedan and hatch ahead of both the Civic and Corolla for power and acceleration, and in fact many owners find the compact fast and fun. Test drivers might disagree slightly, especially when looking at the SX4's 0-60 time of 10.2 seconds. A 5-speed manual or 4-speed automatic are the available transmissions. Critics say the automatic grinds away trying to hunt for gears, limiting acceleration power in passing and merging situations on the highway. The manual feels better suited to the engine, although one owner finds the short throws somewhat choppy. Front-wheel-drive models offer better acceleration than the heavier all-wheel drive ones. Fuel economy rates around 22/30 mpg, which lags behind that found in most of the SX4's compact rivals. These numbers drop even lower in models equipped with either all-wheel drive or the automatic transmission. The 2009 Suzuki SX4 borrows its platform from Suzuki's World Rally Championship car, and owners say some of that racing lineage sneaks into this economy car. Good maneuverability characterizes the SX4, and the stiffer suspension in the Sport trims adds an air of agility and sportiness that some critics find superior to the Fit and Versa. The firmer suspension, however, also translates to a somewhat harsher and bumpier ride overall. Test drives reveal weighted and precise steering and good brakes, although the typical understeer associated with compact cars remains present. Although exhibiting some body roll, the SX4 feels fairly stable in turns despite its tallness. Credit for this can go to a well-tuned Macpherson strut front and torsion beam rear suspension. The SX4 offers solid and safe handling, overall, without sacrificing a satisfying amount of road feel and a splash of fun behind the wheel. The four-cylinder engine struggles slightly when passing or accelerating on the highway, and one test driver says engine noise intrudes even at low RPMs. The hatchback allows in more wind and road noise than the sedan. The AWD system lacks low-range gearing and should not be mistaken for an off-roader. However, owners says it provides great traction and grip on slippery or icy roads. The automatic system defaults to front-wheel drive, but can distribute torque up to 50/50 front-to-rear whenever it feels slippage. It can be engaged in part-time or, in really bad weather, full-time mode. A tall roofline in both the sedan and hatchback offers class-leading headroom in the compact 2009 Suzuki SX4, and the cabin will feel spacious for all adults except, perhaps, for those playing in the NBA. Front passengers get nearly 40 inches, while rear passengers get an average 37.6. Legroom also gets a fair shake as well, with 41 inches up front, and even rear passengers can stretch out comfortably with just under 36 inches for their legs. The cabin comes standard with LATCH anchors for child seats, and three children should fit easily in the back. The high roofline also makes the cabin feel bigger than it looks. Tilt steering comes standard on all trims, and a high driver's seat offers premium visibility when compared to other compacts in this class. The front quarter panel windows take some getting used to, but increase visibility when merging or trying to parallel park. Front seats feel generally supportive, but lack height adjustment. Large controls are easy to read and simply laid out, and optional wheel-mounted audio and cruise controls provide added convenience. The new navigation system sits high on the dash and does not get washed out by sunlight, but some critics find it sits too far from the driver's easy reach, and operating it can force you to take your eyes off the road. Integrated with the car's audio system, its voice plays clearly through the car's speakers. As a result, however, it annoyingly interrupts any music playing on the radio or CD. In the past, drivers had begged for a navigation system, and so Suzuki decided to make it standard on all trims. Rear seats in the hatchback split-fold 60/40, but do not fold flat into the floor. Instead, the seat cushions flip up, taking away from the maximum amount of cargo space. The trunk starts at 16 cubic feet and expands to a spacious 64. Rear seats also recline slightly to improve backseat comfort. Rear seats do not fold in the sedan, due to the presence of a rear stabilizer bar behind the seats. However, the trunk space remains expansive for a compact, offering the 15 cubic feet normally seen in midsize sedans. A roof rack comes standard on all trims. Thanks to plenty of option packages, the 2009 SX4 offers a lot of bells and whistles while still remaining affordable. Base models, though sparsely outfitted, do feature the new navigation system, power windows and locks, air-conditioning, a tachometer and temperature display, and a 4-speaker sound system with CD player. The LE adds remote entry and a trip computer and can be outfitted with the Popular Package, which adds cruise control and keyless start. The Sport version of the sedan distinguishes itself with a sport suspension, alloy wheels, and an aerodynamic body kit. The Crossover hatchback Base mimics that in the sedan. Other option bundles include a Convenience Package (leather trim and cruise control), a Technology Package (upgraded navigation with Bluetooth, foglights, and wheel-mounted audio controls), and a Touring Package (remote start, a 6-CD changer, foglights, and a rear spoiler). The 2009 SX4 does fairly well in crash tests, earning four stars in front and side rear impact and rollovers, and five stars in front-side impact tests. Fairly stable, despite its tall height, both the sedan and hatch come with 4-wheel disc and ABS brakes, electronic brakeforce distribution, traction control, and dual front-side and side curtain airbags for both rows. Seatbelt pretensioners and a tire monitor are also standard. Stability control comes standard on all but the base sedan. Owners of the 2009 Suzuki SX4 use the word “fun” a lot to describe their driving experience with both the hatchback and sedan. Sportier than its small size and odd shape look, the 2009 SX4 offers good handling and decent power, particularly when equipped with the manual transmission, according to owners. Other highlights include its spacious headroom, handy standard navigation system, and all-wheel-drive traction. Owners also say you get a lot for your money in the SX4. Overwhelming praise from almost every review goes to its terrific fuel economy, however several drivers complain about the small 13.2-gallon gas tank. The lack of flat-folding rear seats or a remote trunk opening button on the key fob also show up as disappointments. There are no reviews of the 2009 SX4 yet from CarGurus owners, but reviews of the identical 2008 version (minus the standard navigation system) also point out the roomy cabin and tall roofline as big pluses. Drivers also like the SX4's nimble performance and acceleration power coupled with its sporty handling and unique looks. 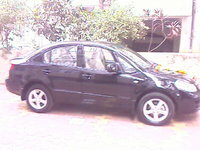 Its safety record also received high marks from several owners. Unlike users on other websites, CarGurus drivers from 2008 find the fuel economy disappointing for a compact. Other negatives include a jerky manual transmission and a bumpy ride caused by the stiff sport suspension in Sport trims. 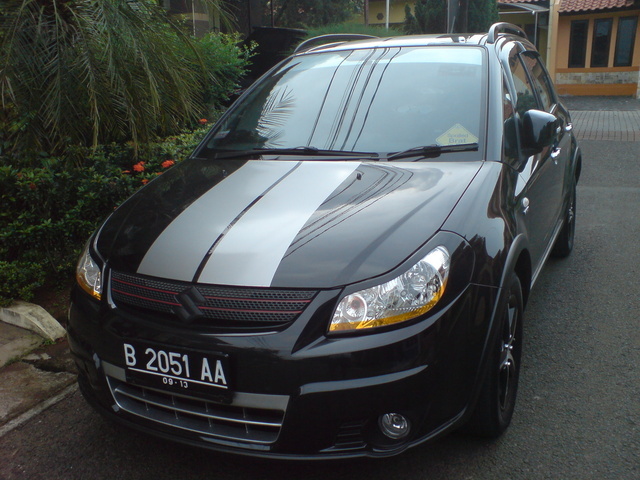 What's your take on the 2009 Suzuki SX4? 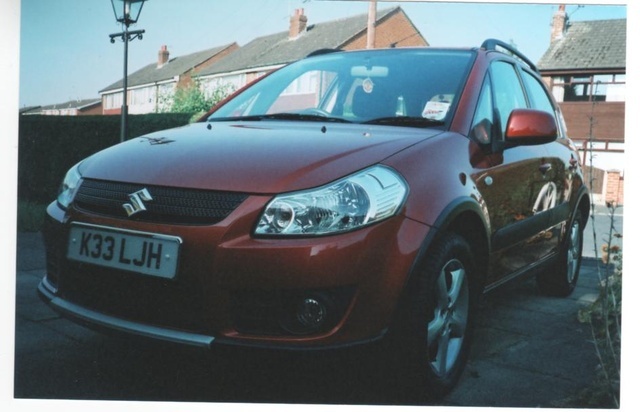 Have you driven a 2009 Suzuki SX4? how does SX4 sedan fare, among similar priced sedans, on driveability and performance?